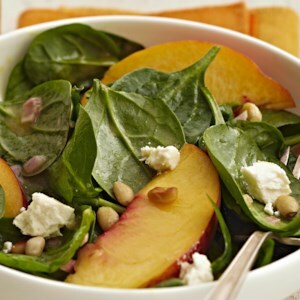 Find healthy, delicious spinach salad recipes, from the food and nutrition experts at EatingWell. 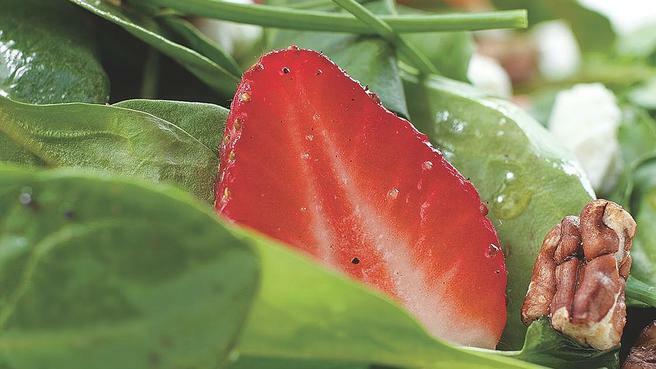 This lively salad captures the essence of early summer with ripe strawberries, chives and baby spinach. To make it a meal, top it with grilled chicken breast. 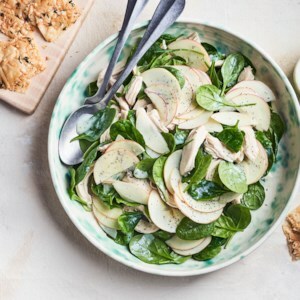 Turn this healthy spinach salad recipe into a hearty vegetarian dinner with homemade pita chips or boiled potatoes. This tuna salad recipe gets an upgrade with olives, feta and a tahini dressing. 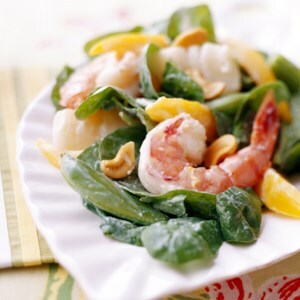 Served over baby spinach, this is the perfect easy and light salad. 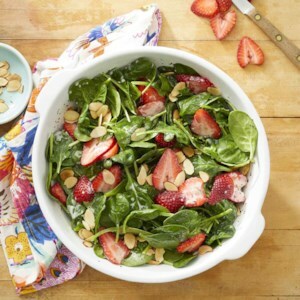 Homemade poppy seed dressing pairs beautifully with tender spinach, crunchy almonds and juicy berries for a fantastically refreshing and easy spring salad. 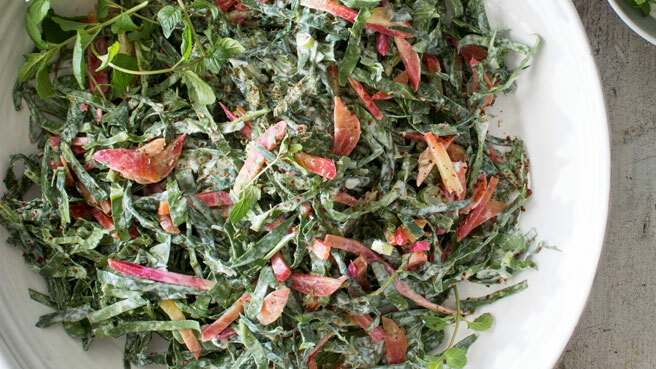 To make ahead, whisk dressing, combine salad ingredients and store separately. 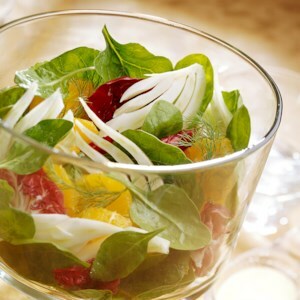 Toss the salad with the dressing just before serving. To make it a complete meal, top with grilled chicken or shrimp. 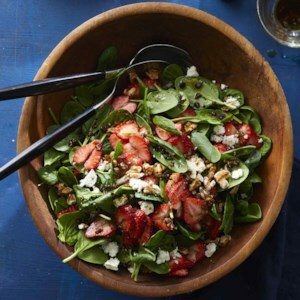 Sweet strawberries, salty feta and crunchy walnuts jazz up a simple spinach salad. The balsamic vinaigrette is incredibly easy; fresh shallots add more zip than you'll find in any commercial dressing. 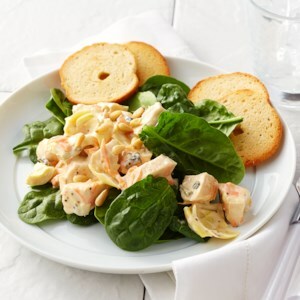 This healthy and easy salad is designed to be made with precooked or leftover salmon. To quickly cook salmon, lightly brush with olive oil, then roast in a 450 degrees F oven until the fish is opaque and firm, 8 to 12 minutes. Bell peppers come in a variety of colors including yellow, green, orange, red, and purple. 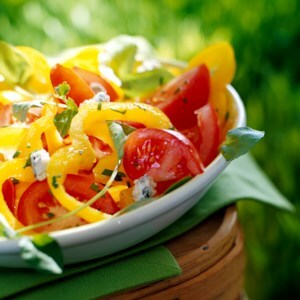 To create eye-catching contrast, mix and match the hues of the peppers you use in this chilled salad rather than just using one color. 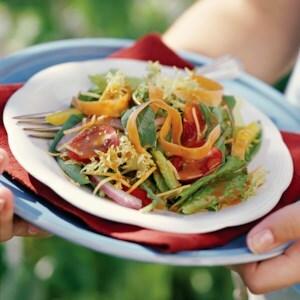 This easy and quick vegetable side salad is tossed with a homemade low-fat French dressing and sprinkled with Cheddar cheese. 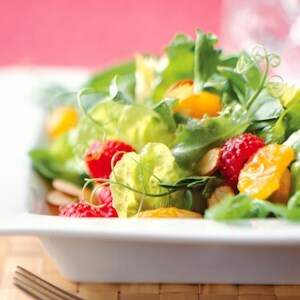 If you're short on time or don't have ingredients on hand to make your own dressing, substitute a bottled reduced-calorie French salad dressing. 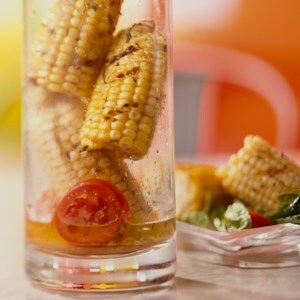 Italian dressing seasons grilled corn, fresh tomatoes, and tender spinach in this side-dish recipe that's an obvious choice to serve at cookouts. 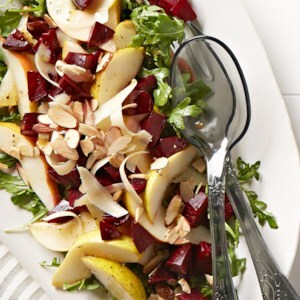 This salad is a wonderful combination of roasted beets, fresh pears, and shaved Gouda cheese. Served on a bed of arugula in a mustardy dressing and topped with toasted slivered almonds, it's a refreshing side to serve with any meal. 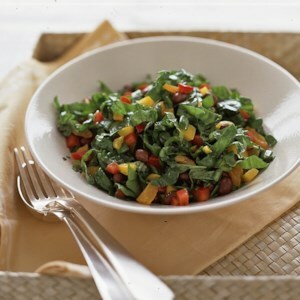 This spinach salad has black beans which add fiber and protein. 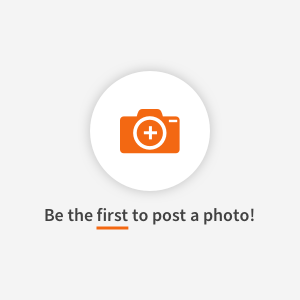 And there's a double dose of apricots--dried apricots in the salad provide fruity taste and nice texture and apricot nectar adds body to the ginger-soy dressing. 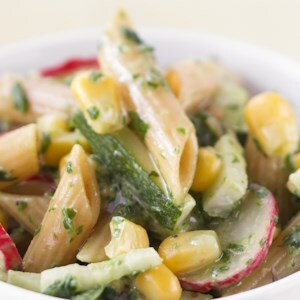 This simple and refreshing salad recipe takes just 15 minutes to prepare. 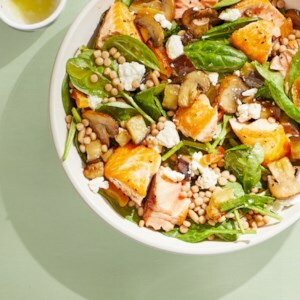 Each bite delivers the taste of sweet juicy peach, tangy feta, and toasted pine nuts and will leave you completely satisfied--but not over-stuffed! 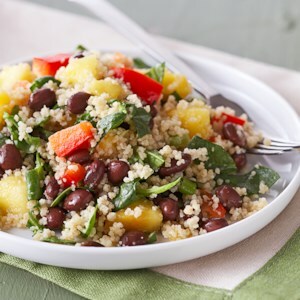 This simple 30-minute salad recipe is perfect for a quick lunch. 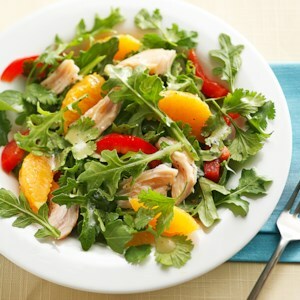 Leftover turkey is tossed with arugula and bell pepper in a honey-Dijon vinaigrette, then topped with fresh orange sections--each bite is a burst of fresh flavors! 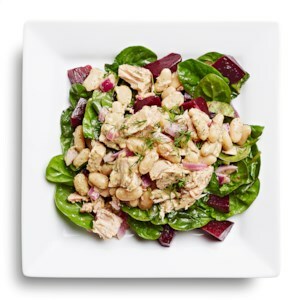 Take canned tuna to new heights by adding cannellini beans, red onion and dill, tossing it in a lemon-pepper-Dijon dressing and serving it over a spinach salad with canned beets. This salad comes together in a snap. 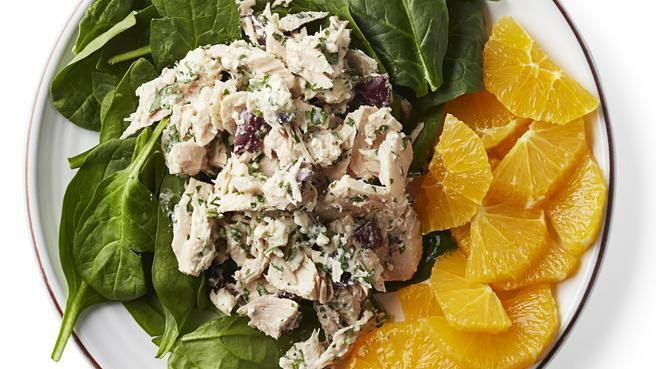 Using leftover chicken, canned artichoke hearts, packaged shredded carrots and a ready-made veggie dip, this quick-and-easy salad will be on your table in just 15 minutes! 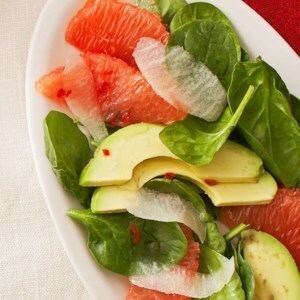 Ready in just 15 minutes, this spinach salad with grapefruit sections delivers a lovely contrast of creamy avocado and crunchy jicama in each bite.